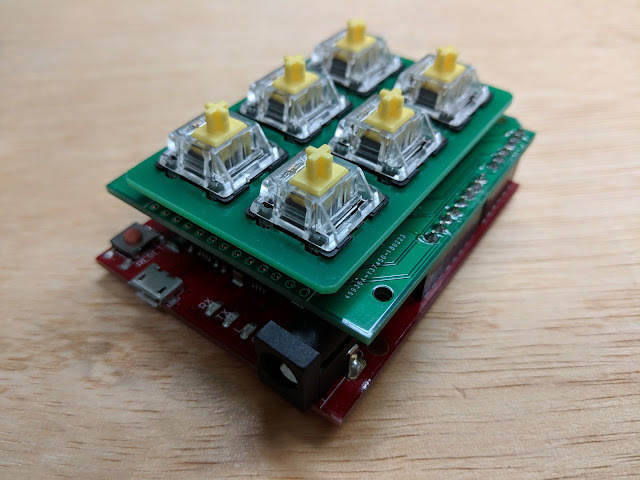 Six Cherry MX compatible switches on an Arduino Leonardo. Per key LED control. 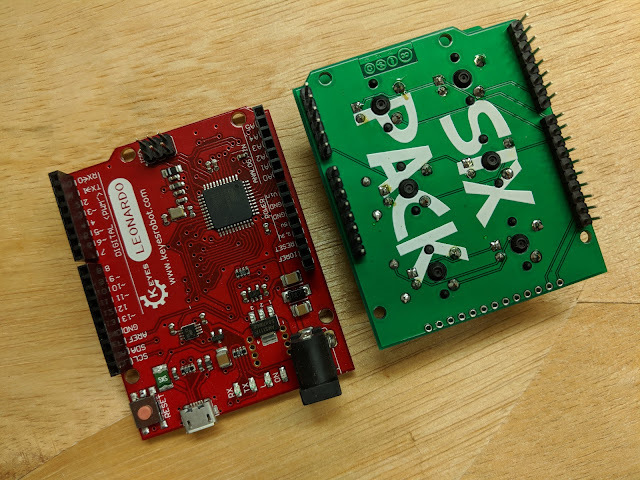 This is the exact same circuit as the Six Pack, shaped as an Arduino Shield. It is designed for the Arduino Leonardo and it's clones which have the same controller as the Pro Micro (ATmega32U4). Assembled and stacked on top a clone Arduino Leonardo. This runs the same Arduino sketch as the Six Pack. Separated from the Arduino Leonardo. The PCB snaps in half. The top is a plate and the bottom is the Arduino shield. I wet sanded the edges smooth after snapping them in half. 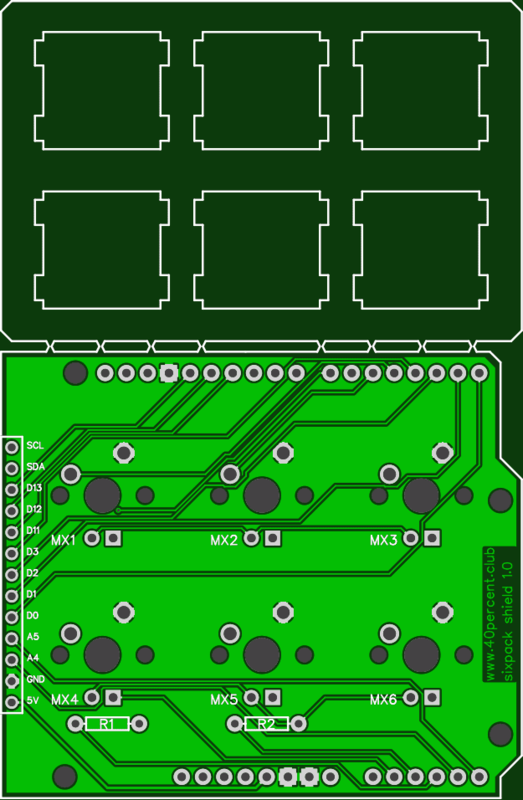 It is under 100mm square and can be made at a discount at JLCPCB. Files are on github. I used the header pins that came with the many Pro Micros I have. The only other parts are the 2 resistors (if you want LEDs), switches and LEDs. If you use PCB mount switches you can eliminate the plate. 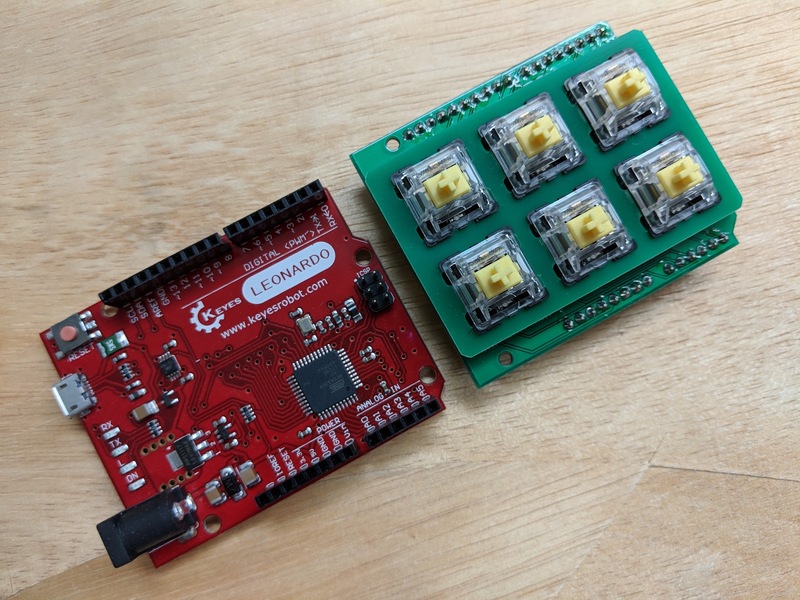 It is possible to use this with other Arduino boards based on the older ATmega328p (Diecimila, Duemilanove, Uno), but you would only be able to use it as a form of input for your sketch and not directly as a keyboard HID device. 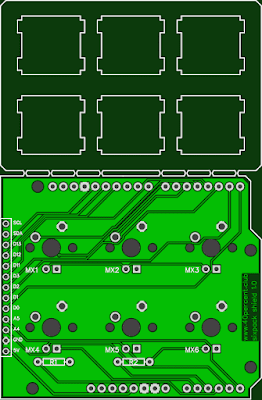 The USB connector on those other boards only provides a serial connection, used primarily for programming and debugging.